If it’s more performance you seek, look no further than mountune. 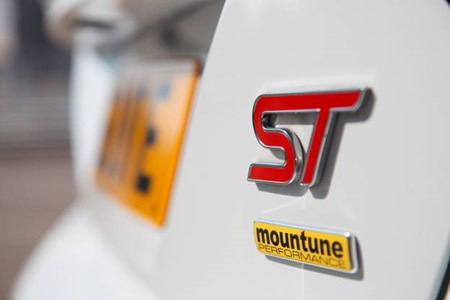 Developed by the race engine and road-car performance specialist, mountune, alongside Ford, the critically acclaimed packages boost output and performance, whilst maintaining your vehicle’s warranty. 400Nm torque and 275PS upgrade for the Focus ST.
320Nm torque and 215PS upgrade for the Fiesta ST.
214Nm torque and 135PS upgrade for the Fiesta EcoBoost equipped with the 125PS engine.